Cookistry: What's Cooking? Gluten Free! This was originally published in the Left Hand Valley Courier in my "What's Cooking?" column. If you spend any time in the baking, snack, pasta, or baked goods sections of the grocery store, you’ve probably seen plenty of gluten-free products for sale, from baking mixes to cereal products to spaghetti. But what’s gluten, and why would you want to be free of it? Simply put, gluten is a type of protein. It’s typically found in wheat flour, and it’s actually very important when making bread. Gluten is what forms the webby network that holds the bubbles that make the bread what it is. Bread flour has more gluten than all purpose, cake, or pastry flour because you want that webby structure in bread, but it can make your muffins or piecrust tough. The truth lies somewhere between those two sentiments. Gluten sensitivities are no more a fad than peanut allergies. We’re just hearing more about them now that people have become more aware and doctors are finding it easier to diagnose. On the other hand, gluten isn’t bad for everyone. Just like any sensitivity, it’s only bad for the people who are sensitive to the item. And just like anything else, there are degrees of sensitivity. Some gluten-sensitive people can have a small amount of gluten with no ill effects, while others can become ill from trace amounts, which is why gluten-free products are produced and packed in facilities that are kept free of all gluten contamination. Since wheat and other gluten-containing grains are so common in things like bread and baked goods, those used to be difficult for people with gluten sensitivities. Now there are bakeries that specialize in gluten-free goods, and you can find gluten-free baking mixes, if you’d prefer to make your own. Although I don’t have gluten issues, I’m always interested in new products, just to see what they’re like. And to be prepared in case I ever need to cook for gluten-free guests. Recently I tried King Arthur Flour’s gluten-free brownie mix. The directions were simple and the only things I needed to add were butter, water, and eggs. Since there were no high-altitude directions, I baked the brownies in a slightly larger pan, just in case they rose too much. The resulting brownies were much better than I expected. They were fudgy in the center and chewy around the outer edges of the pan. The texture was nice, and the chocolate flavor was predominate. No one would ever know the gluten was gone. 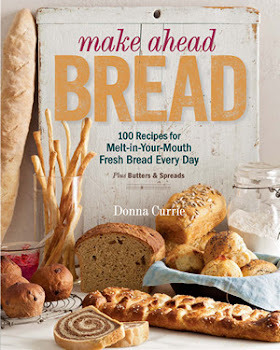 Closer to home, Gunbarrel resident Mary Capone recently launched a line of gluten-free baking mixes including a multi-grain bread mix, a basic bread mix, a cinnamon bread mix, and a multi-purpose baking mix. Prior to this venture, Capone wrote a gluten-free cookbook, but found that many people wanted something easier, since gluten-free baking often requires a multitude of odd flours. Her baking mixes solve that problem nicely. The gluten-free multi-grain bread was quite surprising. Some time ago, I tried baking a gluten-free bread from scratch, and it was fine for sandwiches, but nothing I’d get excited about. In comparison, the gluten-free multigrain bread had a lot of flavor, thanks to the variety of seeds and gluten-free grains. It was great for sandwiches, but also a flavorful bread for toasting or eating plain. And the good thing about gluten-breads, if you aren’t much of a bread baker, is that you don’t need to knead. Actually you can’t knead, since there’s no gluten. Instead, the bread is more of a batter than a dough. But the results are what matters, and in this case, the result is a lovely loaf. For more information about Mary Capone’s gluten-free mixes, see http://www.bellaglutenfree.com/. King Arthur Flour products are sold in many supermarkets and online at http://www.kingarthurflour.com/. For information about celiac disease, see www.celiac.com.